im sure a lot of you agree. in the depth and darkness of the crevices of your soul, you weep with joy for the 1st comment or like you ever get and thank the heavens for the validation of your being. nowadays, you are worth your likes. such a sad commentary of our times. i am liked, therefore i am. chos. manix will forever be my idol. 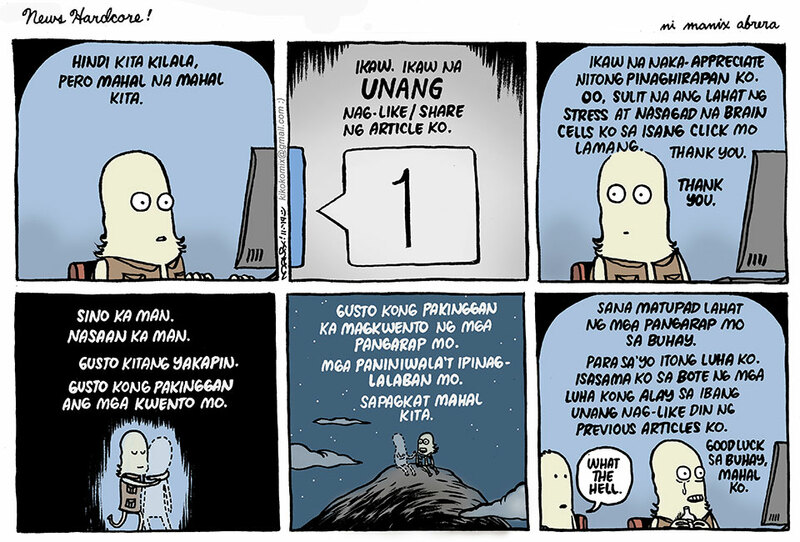 comic strip originally appeared on gma news online. link here. drew a kitchen set design that was eventually cut out from the director’s treatment of that particular tv commercial project. playing on blacks and neutral colors (cappuccino maybe) and brushed aluminum steel for the appliances, plus bright vintage acrylic lamps in orange for a pop of color. in reality i wouldnt put the oven right next to the refrigerator but sometimes for a commercial, one has to employ creative license and in a second or two, establish the whole kitchen in a wide shot and in the succeeding frame show why the oven had to be positioned at the back of the talent standing behind the counter. posting that drawing here. drawn via app on the ipad using paper by 53.
excited to see a much more meatier trailer for INTO THE WOODS now out on youtube. INTO THE WOODS, written by stephen sondheim (words and music) and james lapine (book), is a musical originally staged on broadway in 1987. disney picked up the material about this subversive entanglement of fairy tale characters, most of which theyve made famous in animated features, and decided to produce the movie version with rob marshall (chicago) directing. ive seen the awesome PBS recorded version of the broadway show so many times we might actually have stretched the betamax magnetic strip to render it unviewable. the original cast (bernadette peters, chip zien, joanna gleason, etc.) holds a special place in my heart so i do struggle thinking how this film might water down so many nuances and bold, adult themes and the trailer right now looks too serious for such a funny (and serious) material and it may turn out to be an inferior version. the film cast may be promising but the original broadway cast’s performance was so perfect, so, however, still, regardless, i have mixed feelings of excitement and fear and am anxious and thrilled and constipated and giddy and doing an i-have-to-pee dance in fevered anticipation. ugh. cant wait! if you wanna see the PBS show before this movie comes out in the theaters, come by the house to watch. 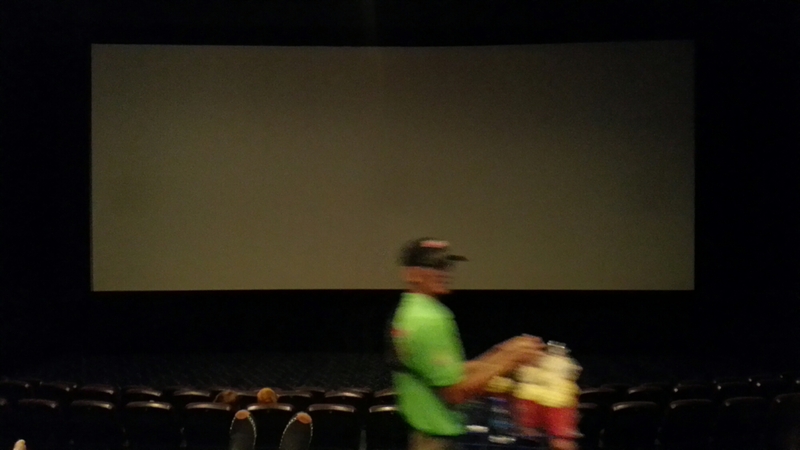 special screening! careful the things you say, children will listen. careful the things you do, children will see and learn. a piece of news has gone viral locally about a dutch restaurant displaying the portrait of filipino actor cherie gil mistaken as the real maria callas. read about the news article here. i do wonder how stupid and lazy the artist could get to not have done his research properly, with the internet giving him hundreds of photos of the opera singer and he ends up picking the wrong one. this, however, amuses and thrills me no end. we were fortunate enough to have watched cherie’s powerful performance as maria callas in terence mcnally’s master class in manila in 2008 and up to this day, i still get goosebumps thinking about it. this maybe akin to people watching for the first time lea salonga perform as kim in 1989 or experience ted neely rock it out in the cinema as jesus christ. it is life changing. char. i dont know if i would want to berate the artist for being so stupid or if i should just praise gil (and her team of stylists) for fooling the dutch portrait artist. for good measure, here is a photo (lifted from the net; i dont own rights to any of the photos ive posted in this article with the exception of the screencap) of the real maria callas.